Synopsis: Frank Stella is abstraction’s greatest living champion--the artist who, more than any other, has merged abstract painting with sculpture and architecture, pursuing the implications of his “what you see is what you see” stance. A forceful clarity of purpose and vision has characterized his art and his career from the start: he dominated the New York art scene of the late 1950s with his Black Paintings composed of stripes, which famously helped pave the way for Minimalism, and which were exhibited in The Museum of Modern Art, New York’s milestone exhibition Sixteen Americans, alongside Johns and Rauschenberg. In 1970 Stella became the youngest artist to receive a show at The Museum of Modern Art, by which time he had already blazed his way through several stylistic evolutions. To the surprise of many, the passionate race-car driver did not follow the seemingly inevitable route towards Minimalism, and instead followed a path that led him to ever more opulent and baroque reliefs. With this idiosyncratic turn “from Minimalist to Maximalist,” Stella developed into one of the boldest artists of the twentieth century. 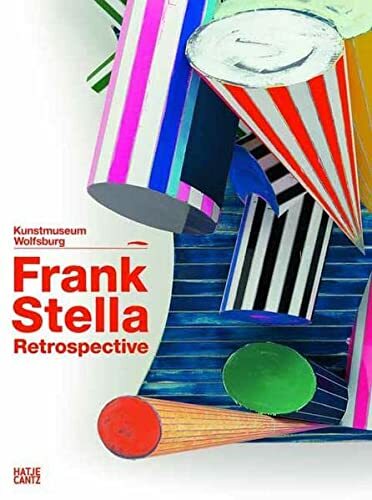 On the occasion of Stella’s comprehensive retrospective at the Kunstmuseum Wolfsburg, this massive survey celebrates the many lives of Frank Stella. It includes classic examples of each of his many periods, such as the Black Paintings, Irregular Polygons, the Protractor paintings, the Circuits series, the metal reliefs and floor sculptures of the past two decades and an “ArchiSkulptur” conceived by the artist exclusively for the exhibition. With more than 660 color reproductions, this volume is as ambitious and spectacular as its subject. Frank Stella was born in 1936, to first-generation Sicilians, and grew up in a suburb of Boston. In 1954 he entered Princeton University, where he took a night class in painting and drawing. His first solo exhibition was at the Leo Castelli Gallery in 1960. From Library Journal&colon; In 1970, at age 34, Stella became the youngest artist to be given a full-scale retrospective at MOMA. His second retrospective there is celebrated by this expensive catalog, whose author is director of painting and sculpture at the museum. The new show covers the artist's "second career," marked by a shift away from the simple geometrical patterns of Stella's earlier minimalist canvases toward powerful constructivist-inspired, mixed media paintings on aluminum and etched magnesium. Essential for collections strong in contempoary art, especially those with the catlog of the first exhibit, also authored by Rubin. Russell T. Clement, Brigham Young Univ. Lib., Provo, Ut.